TVA representatives join Etnier, Kalisz, and Ichthyology staff for photo before the reception. 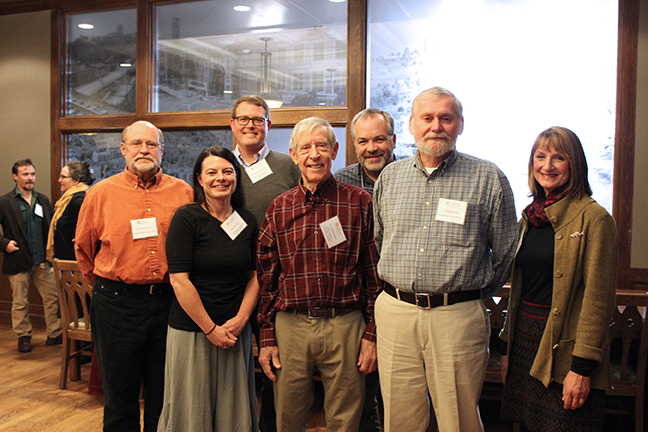 TWRA representatives join Etnier, Kalisz, and Ichthyology staff for photo before the reception. The endowment will provide support to continue the research conducted at the UT Etnier Ichthyology Collection, a facility used for undergraduate, graduate, and professional teaching and research. It also serves as a significant public resource. One of the first projects involved studying river systems with unknown fish faunas. Etnier, graduate students, and TVA fisheries biologists travelled to the University of Michigan Museum of Zoology, which at that time was the primary repository for fishes from the entire Tennessee River system. Several of the Tennessee specimens, collected by TVA field crews from 1937 to 1943, were catalogued and available for examination. Many others, however, remained in their original collection jars, unsorted, and unidentified. Etnier and his team spent two weeks completing the identification of the specimens, which launched the close cooperation with fish specialists at TVA and UT that continues to this day. 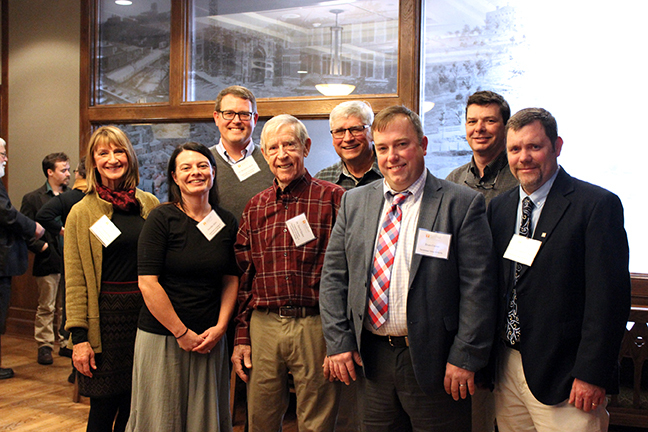 More than 40 guests attended the Etnier Ichthyology Endowment reception. As the event ended, Chris Cox, director of development in the College of Arts and Sciences, announced the Etnier Endowment Challenge. For more information about the collection, visit the Etnier Ichthyology Collection website.